The Cutler Rim Trail is just south of the Gateway Canyon Resort in Gateway, Colorado. The trail travels around the rim of a small canyon at the end of Wildflower Lane. Cutler Rim has connections with the Vista Grande, Lumsden and Entrada trails which opens up the opportunities for combining the different trails for a variety of hiking experiences. There are several places that this hike can begin. 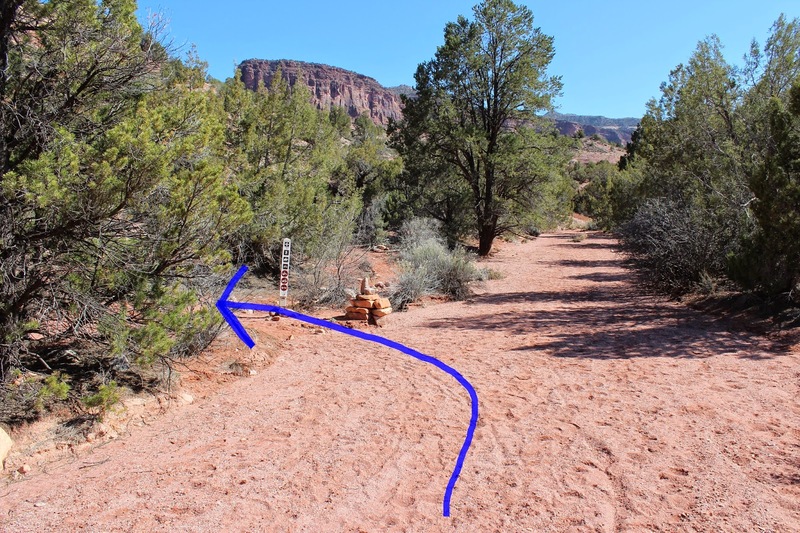 The preferred location might be from the public parking area at the Gateway Canyons Resort where hikers can follow the Entrada Trail to connect to Cutler Rim. Due to construction that was going on during our visit we opted to drive down Wildflower Lane, just south of the resort, and park near the green gate in this picture. Rather than passing through the gate we followed the road on the outside of the fence to the point on a small hill where the Entrada Trail crosses the road. 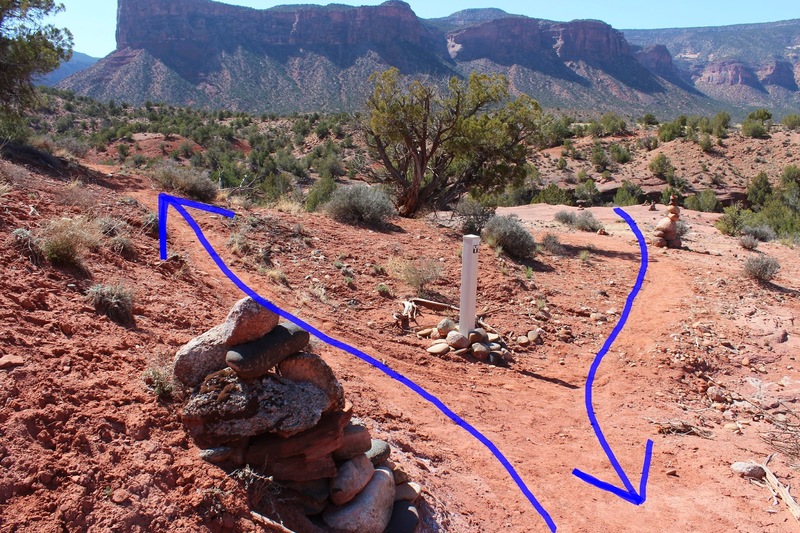 At this point the Entrada Trail passes through a smaller green gate. This section of the Entrada Trail makes a pleasant connecting route to get to the Cutler Rim. A little over a half mile from where we began the Entrada Trail meets up with the Cutler Rim Trail and the loop begins. 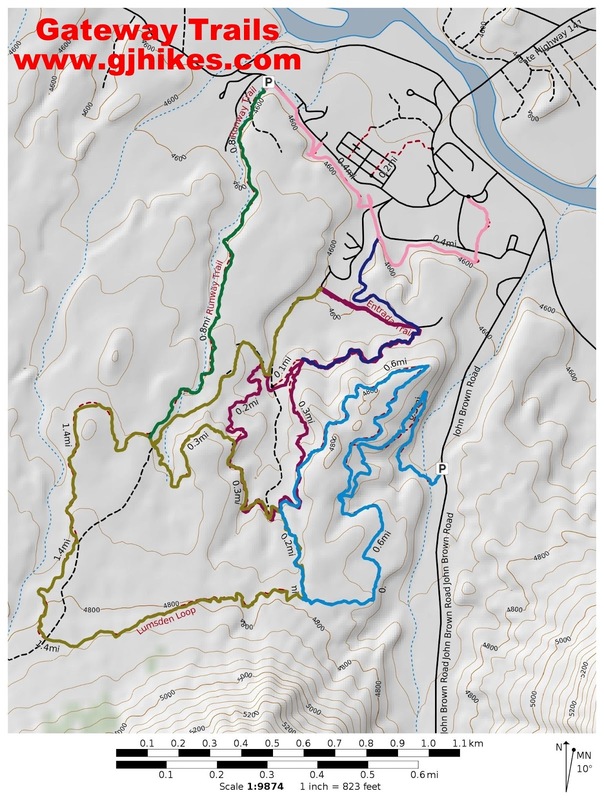 For this post we chose to hike the loop in the clockwise direction. The first section of the Cutler Rim Loop travels around the canyon along a bench area that is situated in the middle of the side of the hill between the Vista Grande Loop, that is coursing around the mesa up above, and the floor of the canyon below. Eventually the Cutler Rim leaves its middle ground and climbs up to join the Vista Grande Loop. 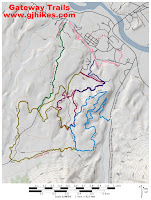 This sharing of routes doesn't last for too far before the Cutler Rim trail branches off on its own once more. At this point the Cutler Rim trail loops around to the opposite side of the canyon and heads back in the direction from which it began. We chose to follow the Cutler Cutoff Trail that leads down into the wash. The Cutler Rim trail continues for quite a ways before it meets with the Lumsden Loop. The post for the Lumsden Loop follows that route so the Cutler Cutoff Trail is a good alternative for this hike. 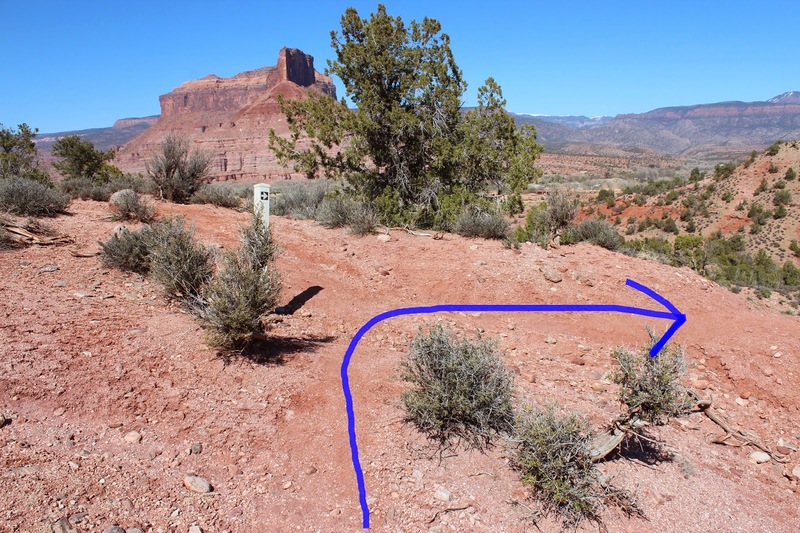 Once the cutoff trail gets into the wash turn right and head into the canyon a short distance where there is a marker at the point the Cutler Rim trail climbs out of the wash. Another option would be to head out of the wash in the other direction to the green gate where the hike began. From the wash the trail does a little minor climbing to get up to where the loop began. This picture shows where we parked near the green gate. If the construction hadn't been going on then it would have been better to park in the public parking lot near the resort. The Cutler Rim is one of the funnest hikes in the group of trails here at Gateway. It can easily be combined with some of the other trails for a longer or different hike. For anyone staying at the resort that likes trail running they can step out of their room, hop on one of the trails and run all they want. If you would like to see it for yourself then all you have to do is 'Take a hike'.